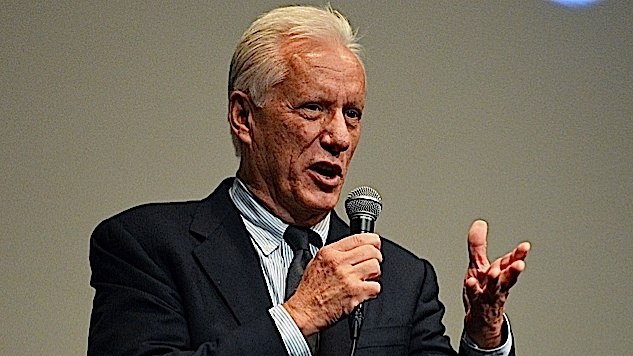 Along with his has-been actor status, James Woods is a Trump-conservative Twitter troll who once celebrated when the target of one of his frivolous lawsuits actually died, bragging that “if you die, I'll follow you to the bowels of hell.” He's not above the odd borderline homophobic tweet, even when he gets owned by Armie Hammer for it. It seems like Woods believes that people are going to be mad on his behalf, when in fact the truth is that this is good and funny. This will obviously become another chapter in the right’s victimhood complex, but so be it—they’ll defend to the death someone’s right not to bake a gay person a cake, so I’m not really interested in the hypocritical bashing that has already commenced.